One of the most awesome things about our Retro Renovation community is how readers pull together to help each other find resources to get the job done. We constantly get tips from readers sharing their discoveries — like Carol’s recent comment on our story about vintage style shower doors — sharing her source for folding accordion shower doors. 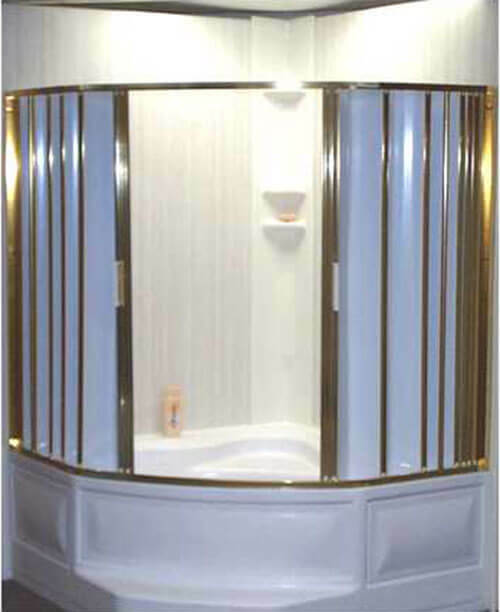 Yes, Shower Solutions USA, Inc. still produces folding shower doors. This product today seems to mostly focused as a solution for those with mobility issues. But these folding shower doors also were a “thing” in postwar America — so they are great if you need a replacement for an existing system — or if you want this retro look! Above: Carrie has a folding shower door in her time capsule Cinderella ranch house. Above: And Mary Deluxe spotted this beauty in a time capsule house that she featured on her blog in 2009. 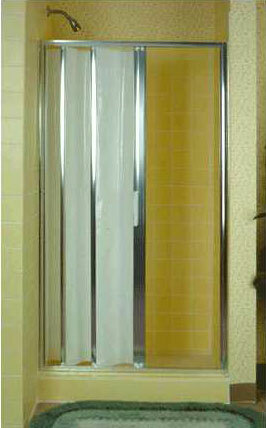 Shower Solutions USA, Inc. offers several models and sizes of folding shower doors. The doors are all made in America. The company has been in business since 2003 and has three employees. MF Elite – this enclosure can be stored in either the open or closed position, allowing full and complete access to the bathing area… fanfold. Plus, its construction is easy to clean! Spring-loaded roller system insures smooth, quiet operation. 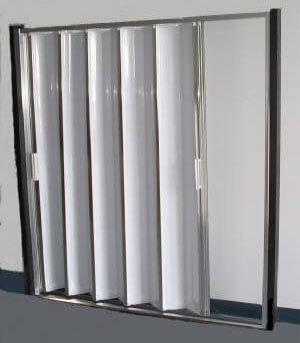 Frame is made of high quality aluminum and the folding panels of a high-impact, shatter-proof plastic. Our Shower Doors are very Safe. 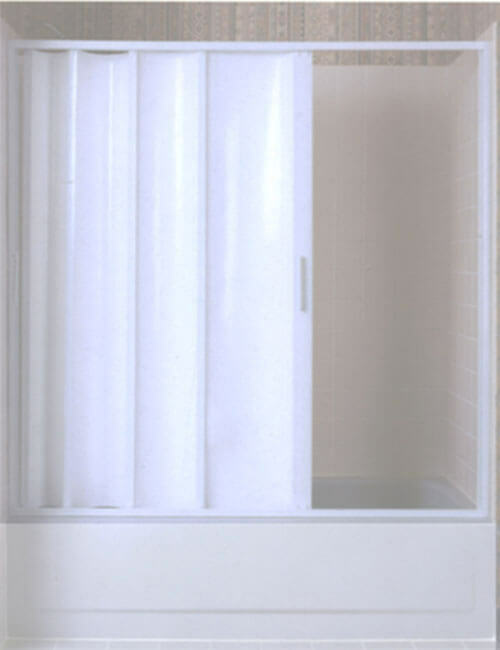 If a person were to slip and fall against a Shower Solutions USA door, it would flex to cushion the fall, helping to prevent more serious injury. Available in Silver, Satin, and White Frames. 10 vintage shower doors help answer, what kind of shower door for my vintage bathroom? 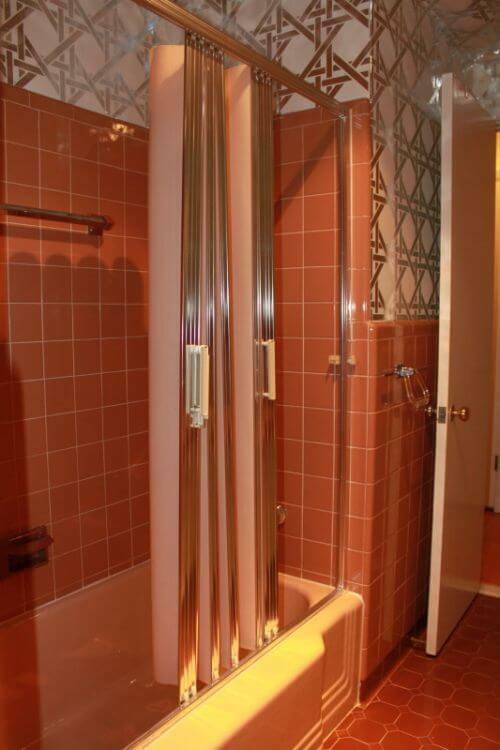 Japanese maple leaf shower doors in A. Quincy Jones 1968 house — delightful! Hello, after my mother-in-law fell out of her bathtub, they have installed a walk in shower. It does not come with a door, and they were told they could not get one. 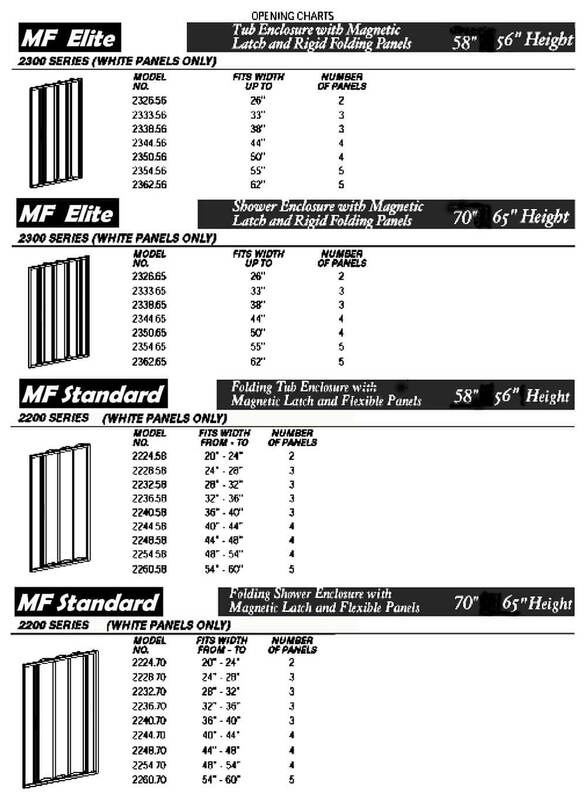 Your mf standard series 2260.70 would work great! They live in Ontario, Oregon. Where would they be able to order one? 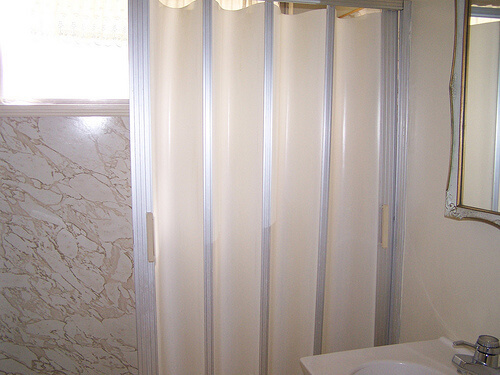 I am trying to update a 70s bath that has a cramped stall shower with original accordion shower door. 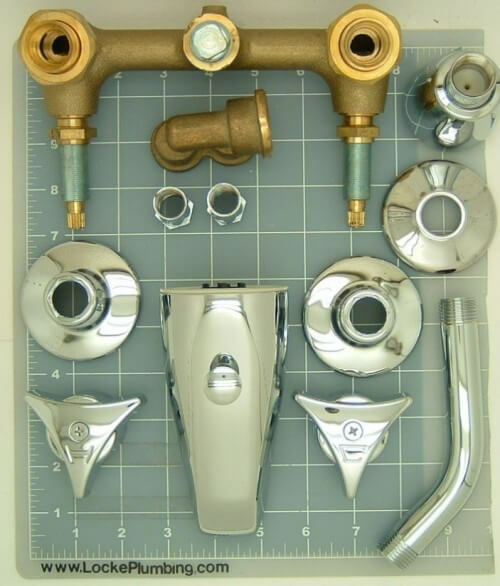 I am planning to preserve many of the elements of the bath like yellow laminate counters and floating vanities but the shower stall is in bad shape and not particularly interesting from a design perspective. (No cool vintage tile like I’m seeing on this site). The accordian door is in good shape but would go with the plastic stall. Am I making a mistake by getting rid of the accordian door from a preservation standpoint? Trying to balance preserving the best Midcentury elements with some much needed updates. Has anyone struck that balance in their MC bath update? I do not believe, personally, that vintage plastic acccordian shower doors will ever command top prices as a rare collector’s item. That said, I think they are interesting, time-warp fun, and worth preserving especially if they are in good shape (why throw out something still useful and operational). I also tend to believe they are functional — they don’t swing out and take up space, they fold in on themselves, now nifty from a space utilization standpoint. I also don’t see a problem mixing plastic with ceramic. If you feel “bad” about ditching the door — put it on craigslist to see if it can find a new home — or at least give the ReStore a shot, although they many not want to deal with something so unwieldy. interested in ordering a set of folding shower doors to replace current tub master that have seen better days. Have question about measurement, available and shipping charges if any. Pattie, I don’t sell anything — contact the company profiled directly.